Reprinted with permission from Construction Drive, Jan. 11, 2017. On the National Register of Historic Places, the Attucks School in Kansas City, Mo., was built in 1905 for a cost of $36,811. By 1950, it enrolled more than 1,000 African-American students before becoming a desegregated elementary school in the 1960s. With potential plans to transform the building into a community performing arts center and offices for the Kansas City Jazz District Redevelopment Corporation (JDRC), the Lee’s Summit, Mo.-based Dalmark Group signed up in 2016 to provide analysis of the building’s structural integrity and to determine whether the space was suitable for adaptive reuse. While the Attucks School’s history was well known, documentation of the building’s original construction or any of its 100 years’ worth of renovation was hard to find—much less transfer—into a reliable building information modeling (BIM) model. Dalmark’s solution was to turn to Overland Park, Kan.-based engineering and survey firm BHC Rhodes. Armed with a Leica P40 and ZEB-REVO laser scanners, BHC Rhodes was able to create a level 200 BIM model of the interior shell and exterior façade of the building. The team used 25 tripod stations for the P40s to scan the outside and walked the ZEB-REVO to map the inside, according to Robby Dudley, North American channel manager for Bingham, England-based GeoSLAM, maker of the ZEB-REVO scanner and a joint venture between Australia’s Commonwealth Scientific and Industrial Research Organization (CSIRO) and UK-based 3D Laser Mapping. “Those two point clouds are stitched together and you have a complete interior and exterior BIM model to start any renovations, begin materials estimations, and manage building operations in the future with a very clean, accurate picture,” Dudley said. Laser scanning is beginning to see widespread use in large, complex institutional and adaptive reuse projects—particularly where historical preservation is a concern. The process is being used to create BIM models as well as 3D and 2D as-built project schematics, and it is quickly becoming a beneficial tool in the AEC technology arsenal. 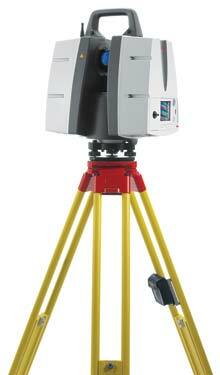 Combined with hygrothermal imaging or integrated into remote robotics or drones, laser scanners can provide a full data ecosystem to enable efficient project collaboration, precise construction methods, and a shell and systems blueprint for facilities managers and future building renovators. 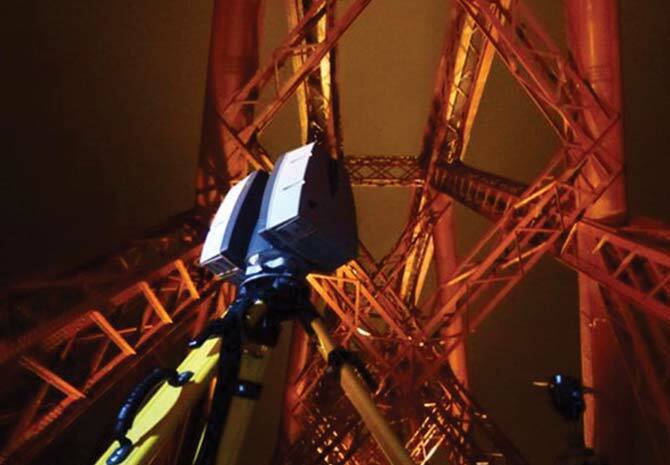 High accuracy and fast data capture have differentiated laser scanners from conventional measurement and mapping methods, particularly in construction, according to a December report from Transparency Market Research. The report noted the construction sector stands to reduce process costs and project labor hours as proliferation of the technology grows from a global market worth $959 million in 2016 to an estimated $2.5 billion by the end of 2023. 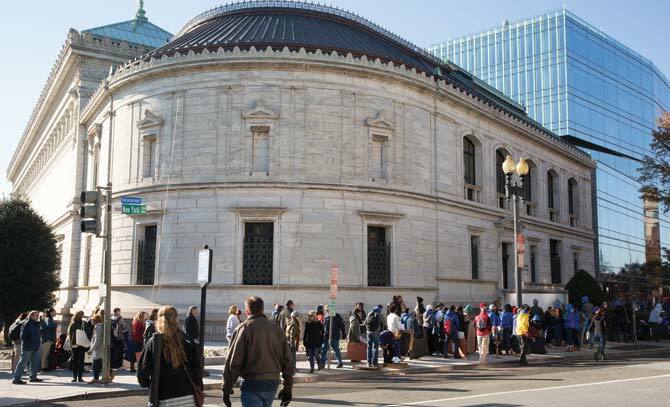 The Corcoran Gallery can be counted among the iconic adaptive reuse projects where laser scanning has provided the initial foundation for creating a full BIM model. Washington, D.C.’s Corcoran Gallery and the Astor family’s Beechwood Mansion in Newport, R.I. (purchased in 2010 by Oracle founder Larry Ellison) can be counted among the iconic adaptive reuse projects where laser scanning has provided the initial foundation for creating a full BIM model of as-built conditions on the job site. To jumpstart the conversion of the 30,000-square-foot Beechwood into an art museum, Boston–based Shawmut Design and Construction shored up the structure, removed all the load bearing walls, then laser-scanned the shell and used the BIM output to replace the wood framing with a structural steel system. 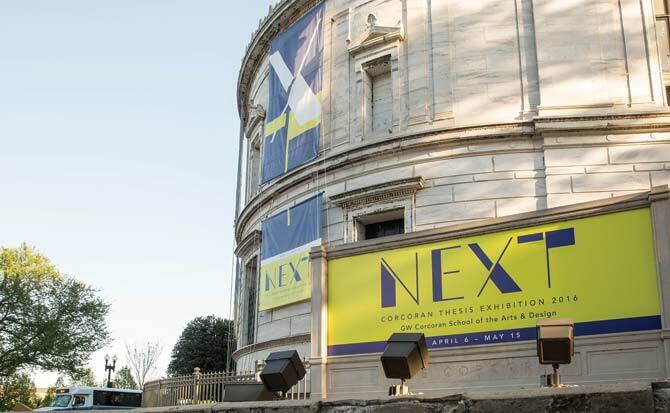 The Corcoran Gallery is in the midst of an $80-million renovation. At the Corcoran Gallery, where George Washington University (GWU) is in the midst of an $80-million renovation scheduled for 2018 completion, Omaha, Neb.–based Leo A Daly is blending technologies to produce a highly detailed BIM model. 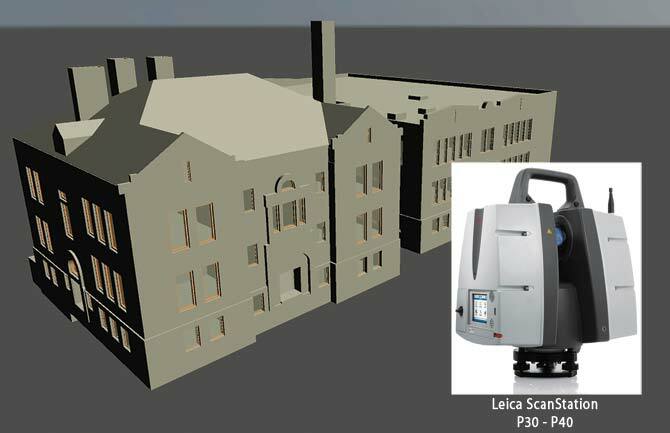 The architecture, engineering, planning, design and program management firm merged laser surveying and point cloud model assembly with hygrothermal wall analysis, ground-penetrating radar and CCT camera surveying to compile the BIM model as the basis for the retrofit of the building into GWU’s art academy. The gallery itself also remains as a tenant. According to Leo A Daly associate and architect Andrew Graham, the project involved replacing a large, old utility and infrastructure component with a modern MEP system in a building where 90 percent of the interiors and the complete exterior were listed on the National Historic Register. A mechanical attic pocket above the gallery with skylights, catwalks, and historic iron roof trusses became one of the main locations to run distribution for HVAC and fire protection—and Graham said an additional laser scan of that space was critical to the team’s understanding of how to make the overall design work. “Laser scan allows us to analyze that at a high level of detail by pulling it into a point cloud that puts us leaps and bounds ahead,” Johnson said. According to Dudley, laser scanning is simply part of the larger, growing language of BIM that is enabling greater efficiency and collaboration among project stakeholders and providing a mechanical level of detail that is already proving useful to building operations for facilities managers. Particularly for facilities managers looking to improve operational efficiencies, BIM models and 2D schematics generated from full building laser scans are providing holistic, up-to-date construction documentation for greater asset intelligence. “There is an instant interest in cataloging mechanicals to track maintenance and life-span. So what is initially intended as the basis of construction documentation has ended up being used to manage the maintenance processes as well,” said Shawmut VP of New England Ron Simoneau. According to Smerz, the use of laser scanning data output by broader AEC project demographics also could help popularize the technology by spreading costs and providing value across the design and construction process. And the ability to convert point cloud data to two-dimensional construction documentation could hasten the process even faster than BIM. Incorporating laser scanners into construction drone and robotics units is likely to further expand AEC use cases for the technology. Both Eco3d and GeoSLAM are exploring applications for drone-mounted scanners, providing some mobility to hardware that is mostly tripod mounted. GeoSLAM also has partnered with Mound, Minn.-based Black Dog Robotics to develop a law enforcement and all-terrain exploratory robot for remote laser scanning infrastructure after a natural or manufactured disaster. 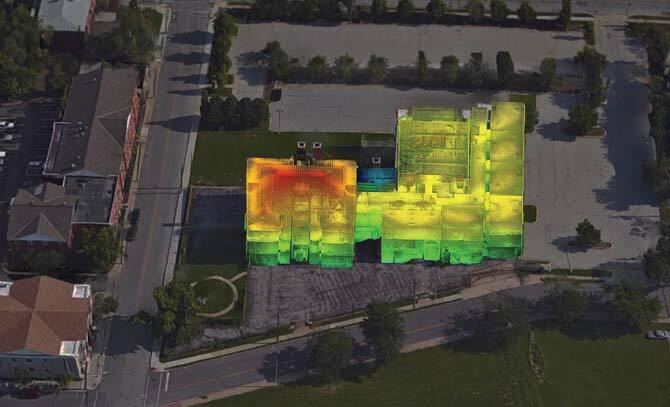 Outfitted with thermal sensors and a camera, the team hopes to advance prototypes to a deployable unit that could explore and map hazardous areas and help emergency responders determine the structural integrity of buildings before putting human lives at risk. Organizers have announced the inaugural Building Content Summit (BCS), an RTC Events conference aimed at gathering manufacturers, engineers, BIM creators, and architects to discuss issues facing these industries. Dörken is the first air and moisture barrier manufacturer to provide wall assembly files for AutoDesk Revit, the industry-leading BIM technology. 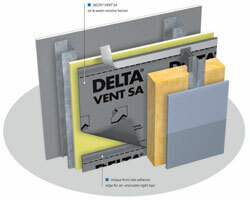 The DELTA®-VENT SA air- and water-resistive barrier product is available in Revit drawing format.